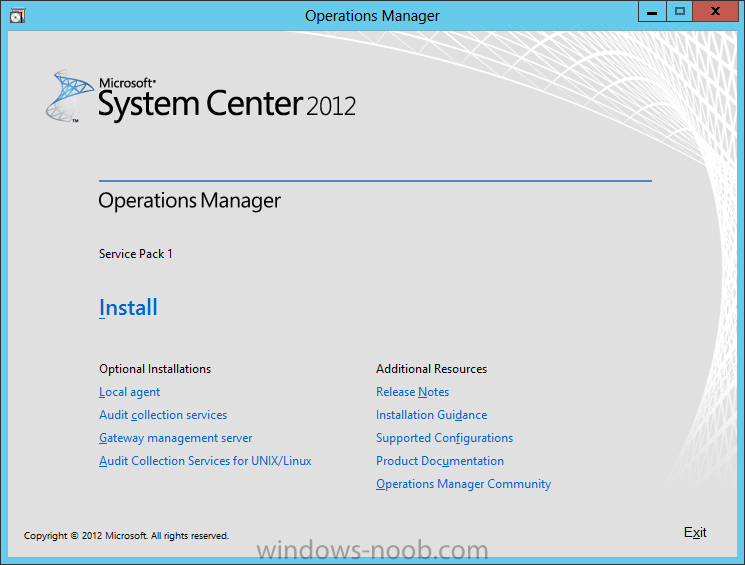 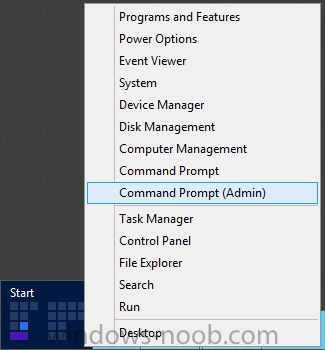 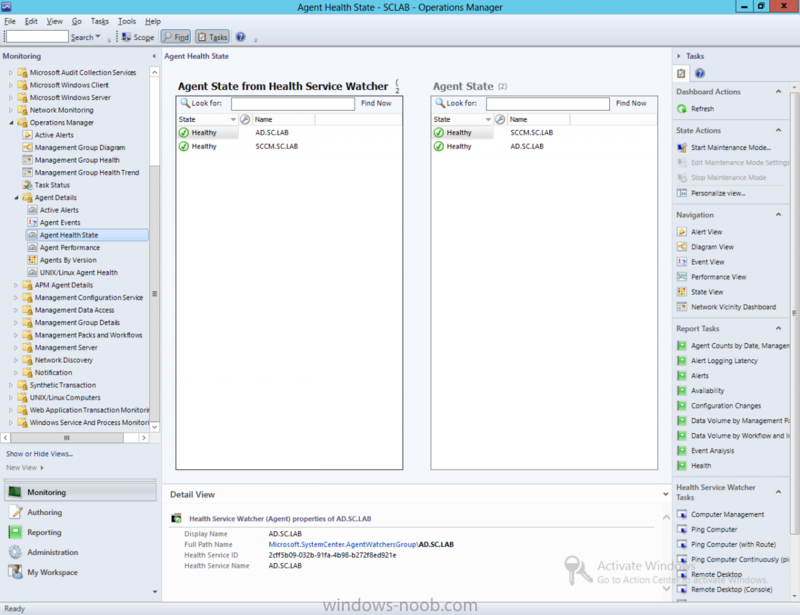 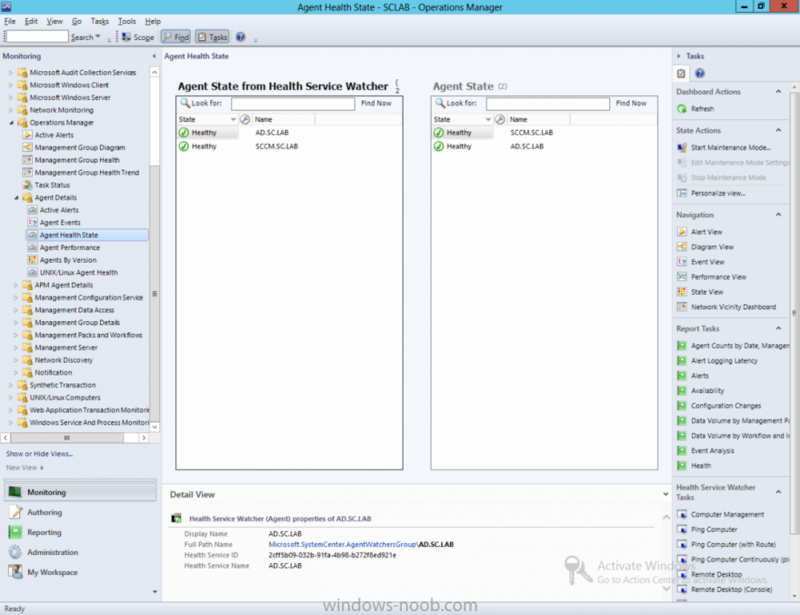 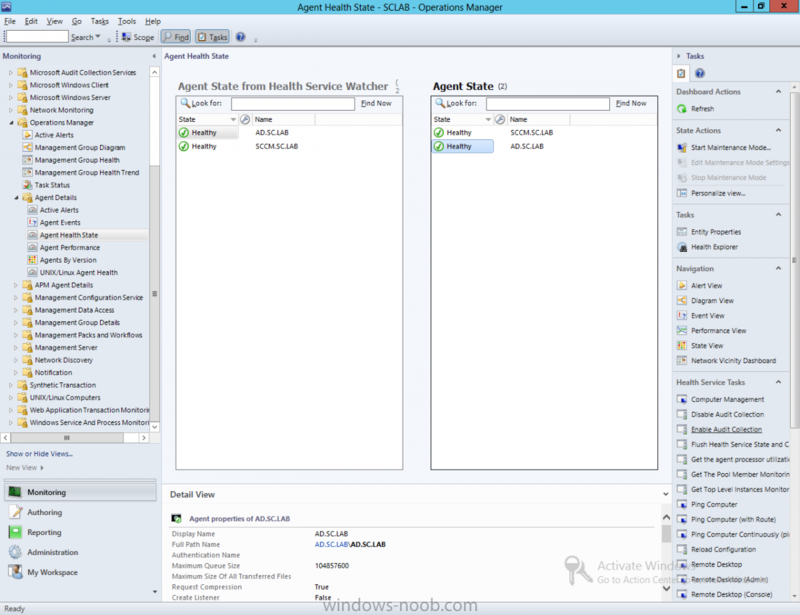 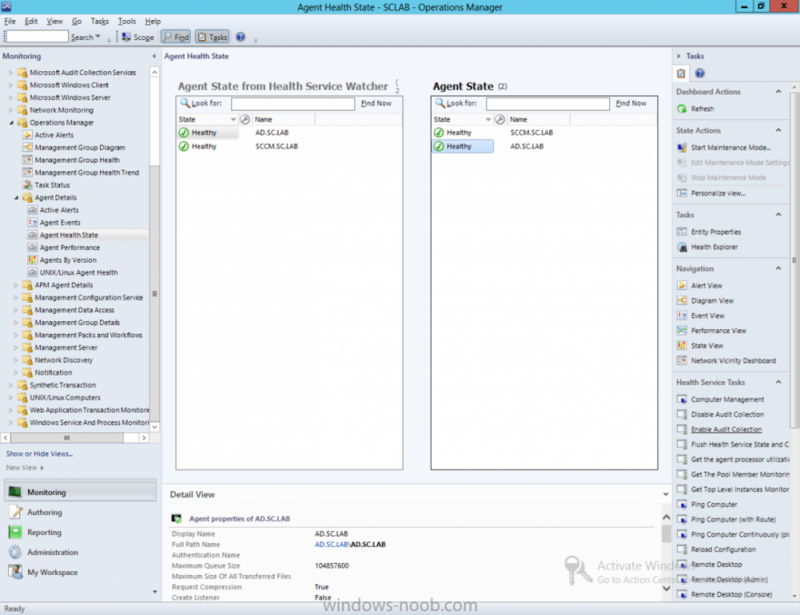 In our last post we installed SCOM and the Agent on several systems. 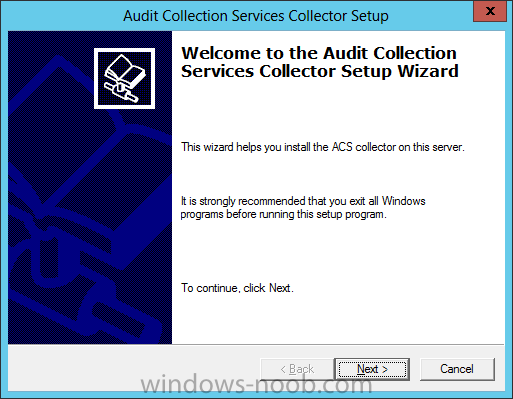 Now we are going to install ACS to audit security events. 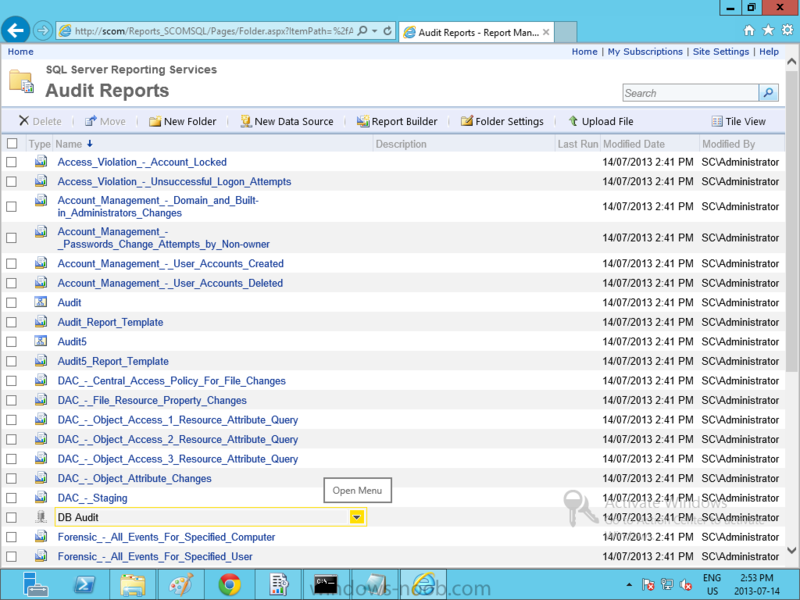 First, we need to log onto the server that we will use for hosting the ACS reports. 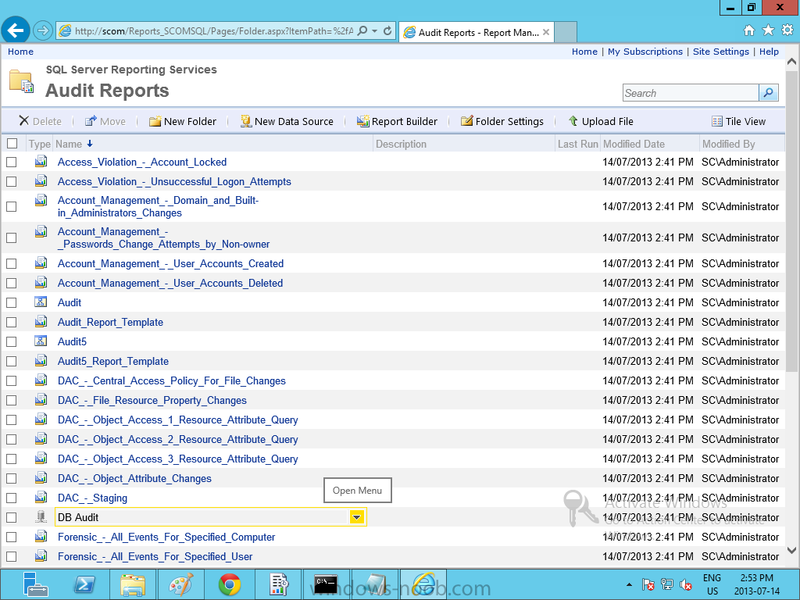 In our example, this is the same server that we installed SCOM on. 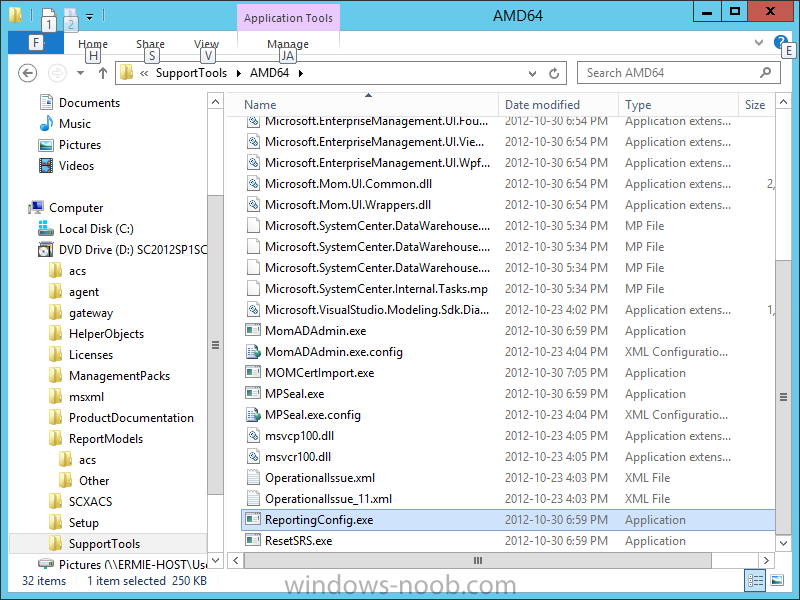 From within that server, we need to create a temporary folder. 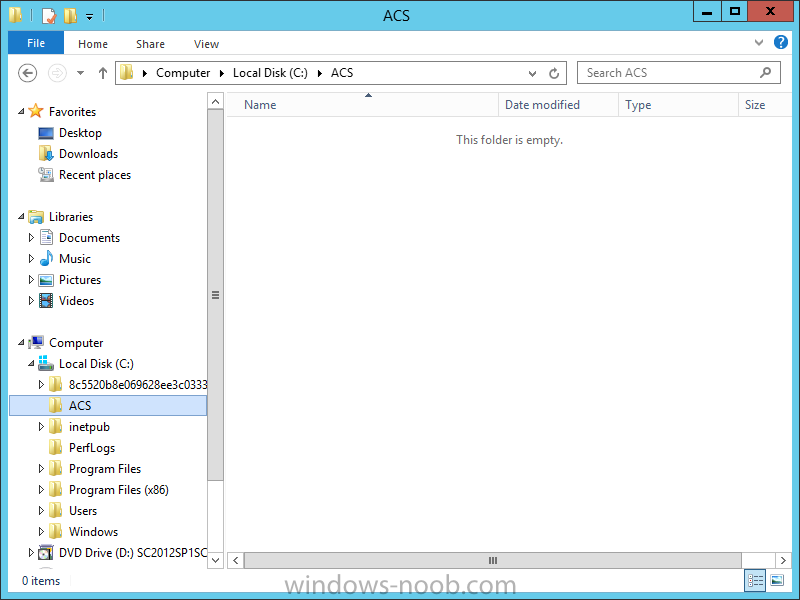 We’ll create one on the root of C:\ and call it ACS (i.e. 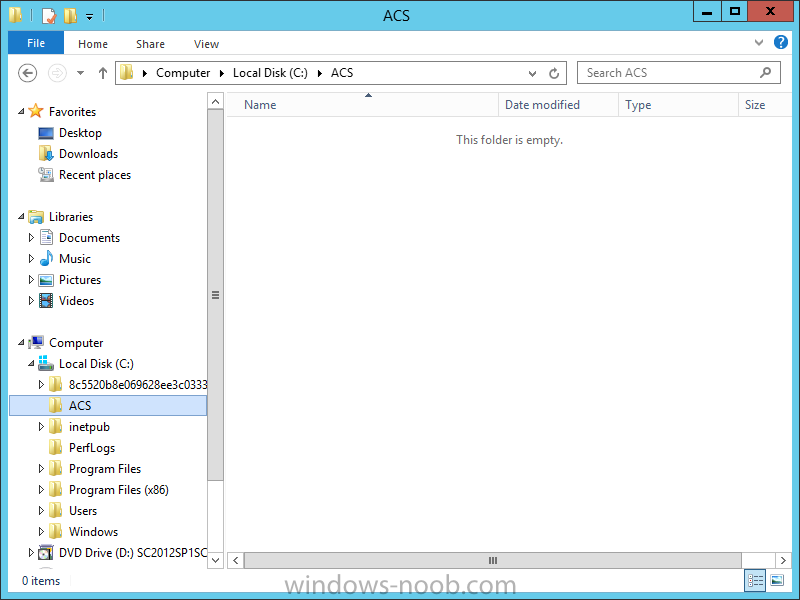 C:\ACS). 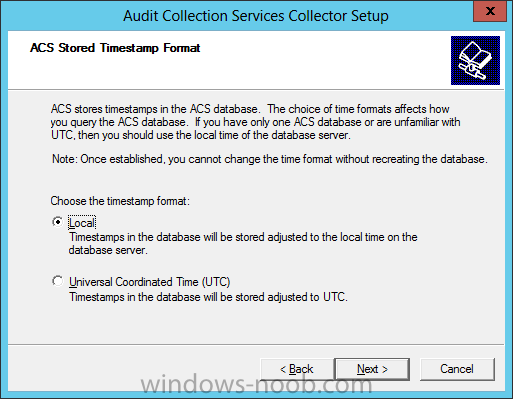 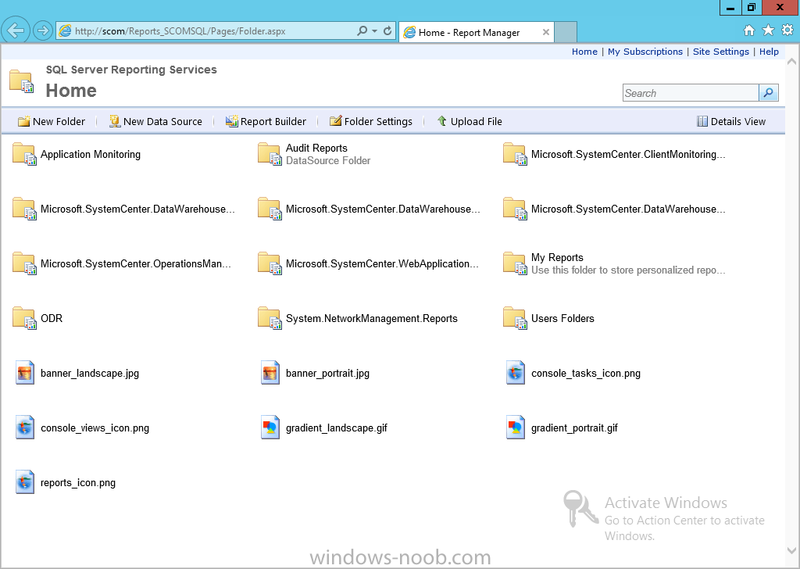 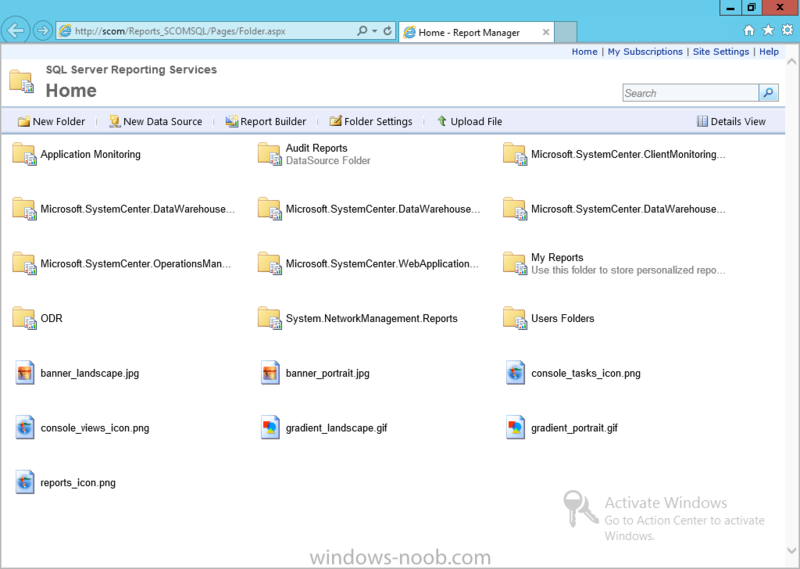 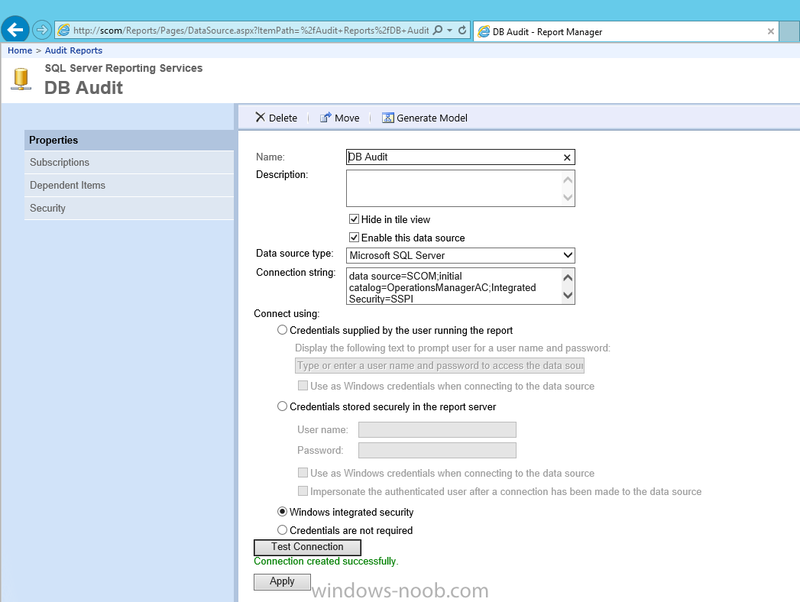 Mount the SCOM ISO, and navigate to \ReportModels\ACS (in my example it is D:\ReportModels\ACS\) and copy everything from this location into the temporary folder that we created. 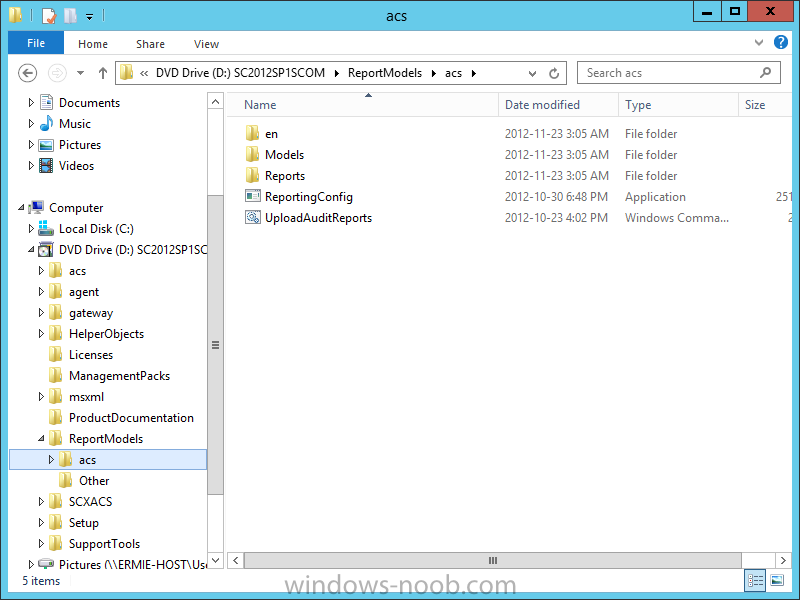 Next, still within the mounted ISO, navigate to \SupportTools\ (in my example it is D:\SupportTools\AMD64\ReportingConfig.exe) and copy the ReportingConfig.exe file into the temporary folder that we created. 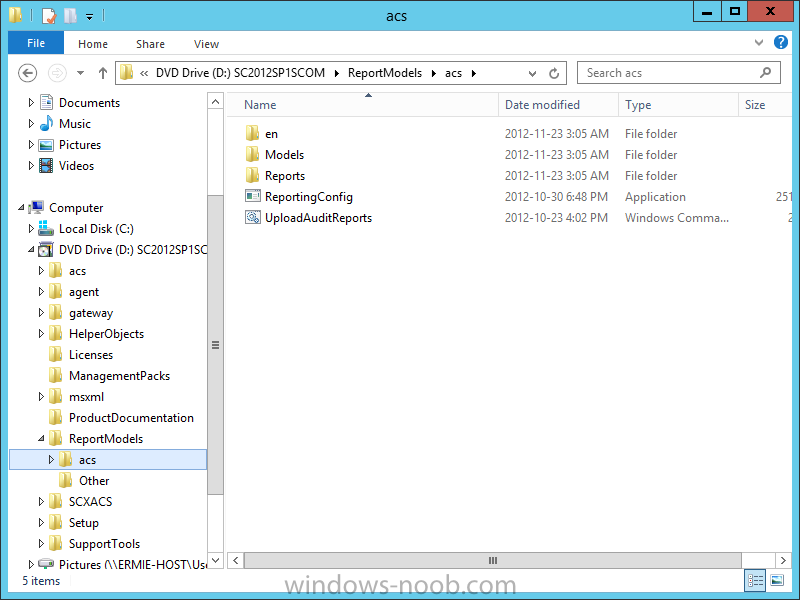 Next, you will need to change the directory to the temporary folder that we created. You will then have to run the following command: UploadAuditReports “<auditdbserver\instance>” “” “”. 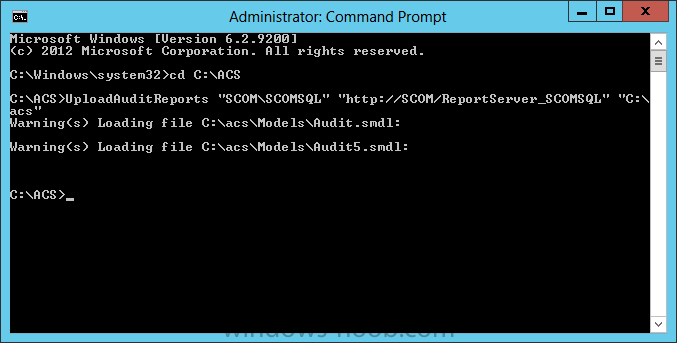 In our lab example the command line would be: UploadAuditReports "SCOM\SCOMSQL" "http://SCOM/Reports_SCOMSQL" "C:\ACS"
This creates a new data source called DB Audit, uploads the reporting models Audit.smdl and Audit5.smdl, and uploads all reports in the ACS\Reports directory. I haven't decided what to do next for the series, but I believe I have covered all installation elements. The next series extension will be more configuration vs. installation. 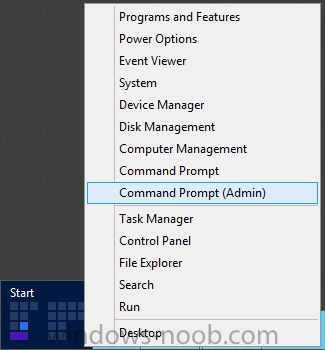 If anyone has any requests or suggestions, let me know. After completing this part none of my audit reports work, I get an error basically saying the database connection is failing. 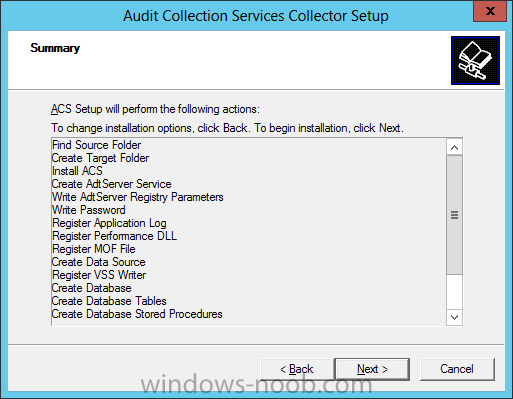 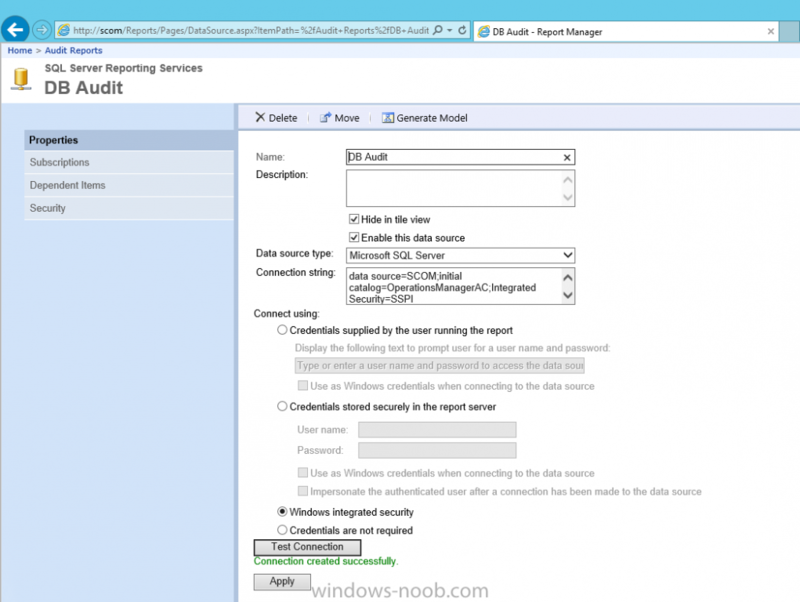 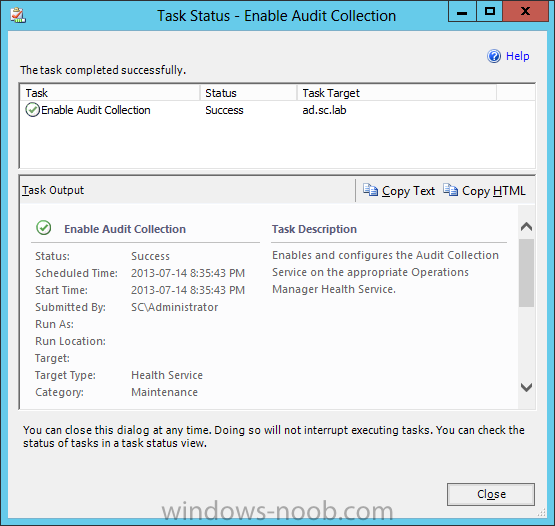 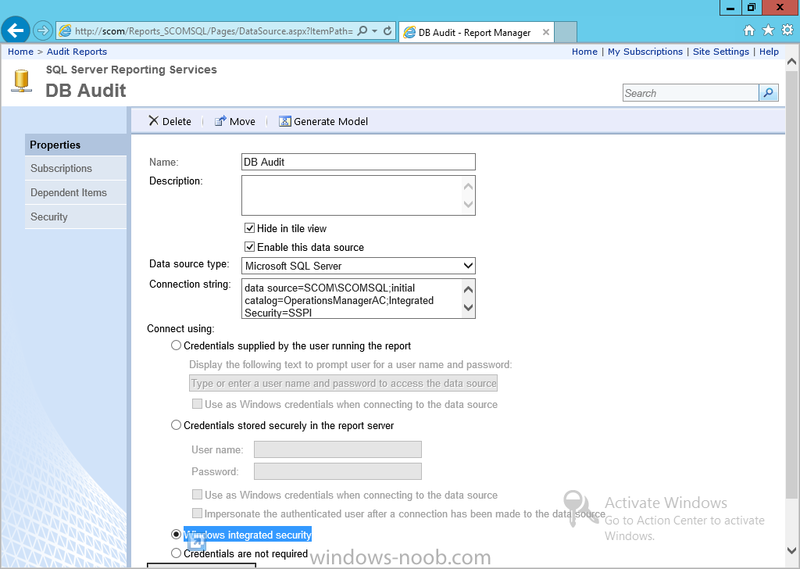 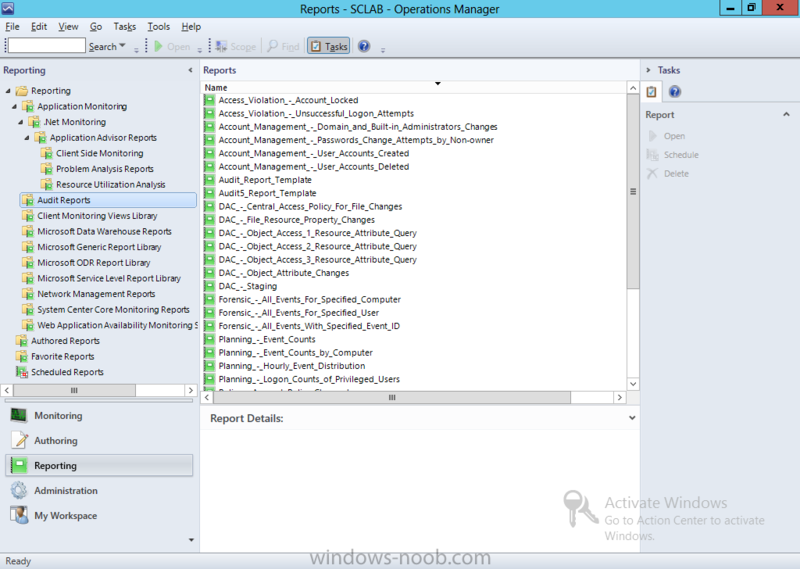 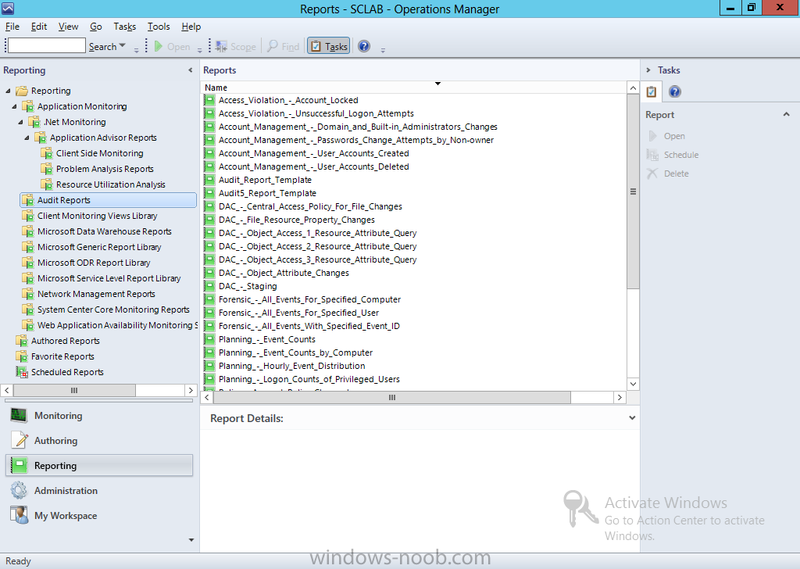 I see the Audit and Audit5 reports in the audit reports from the SCOM console. 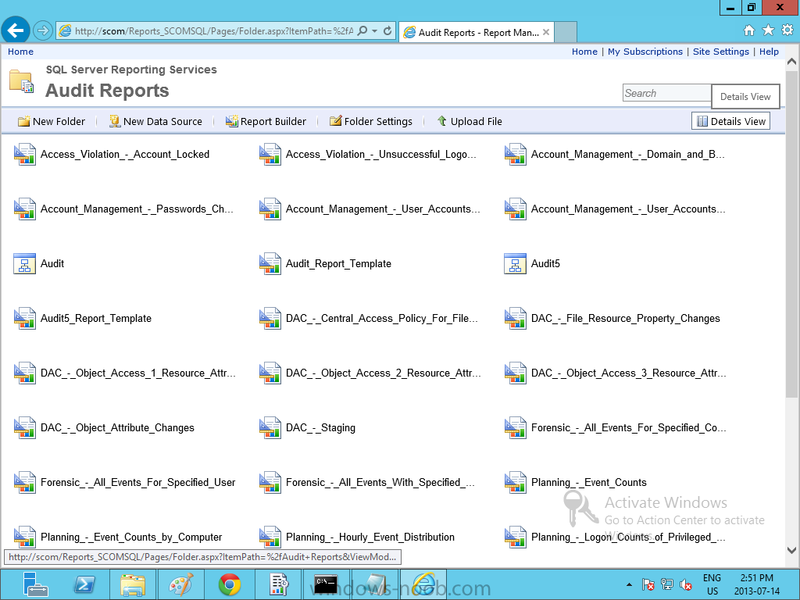 I get this too from the report server URL, under audit reports when I test the connection. Check the authentication is set appropriately. 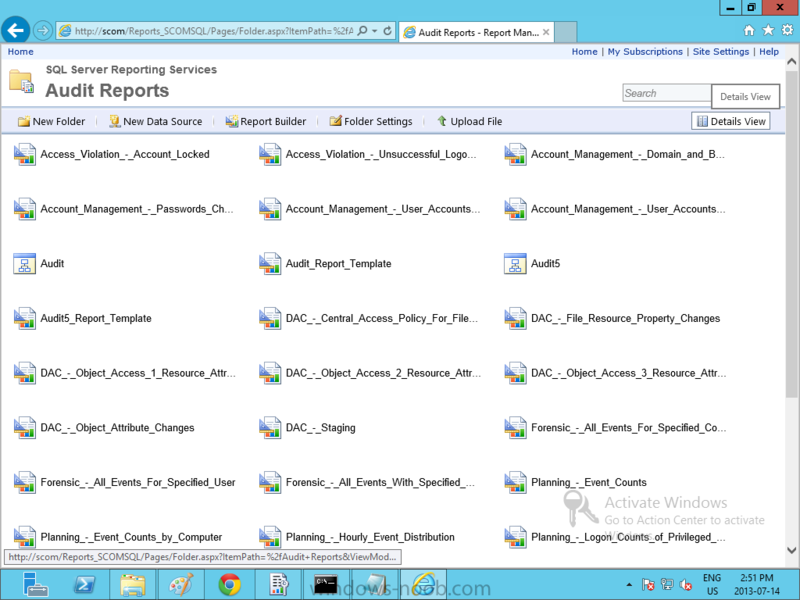 Yep, that's exactly how mine is configured. 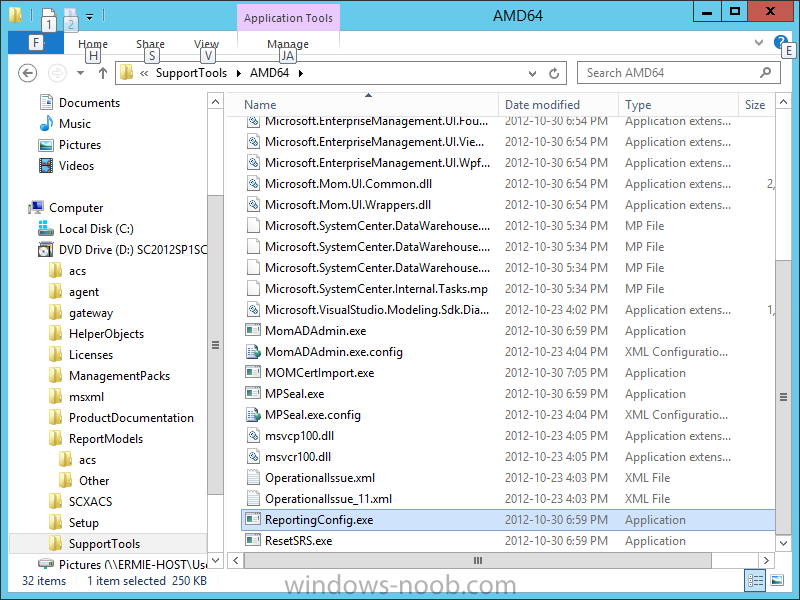 That's how I came across the test button, was following that step in your guide. 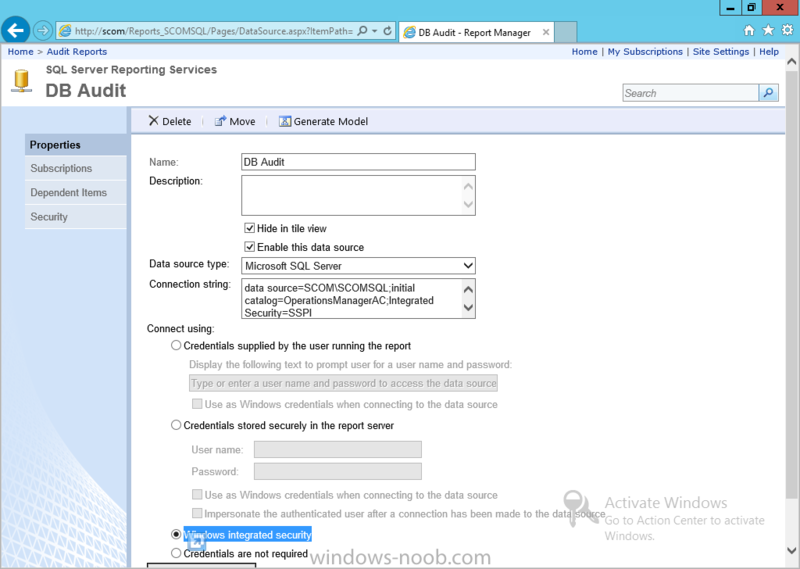 Sorry, so does the error occur when you testing it from the Data Source screen in SSRS, or does it apply without issue and then give you an error when trying to access/use the reports in the SCOM console? It basically says it doesn't have a valid connection to the database from the Data Source screen in SSRS and when I try to run an audit report. 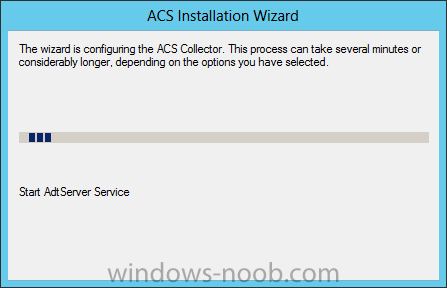 Can you check the options you chose during the install of ACS? 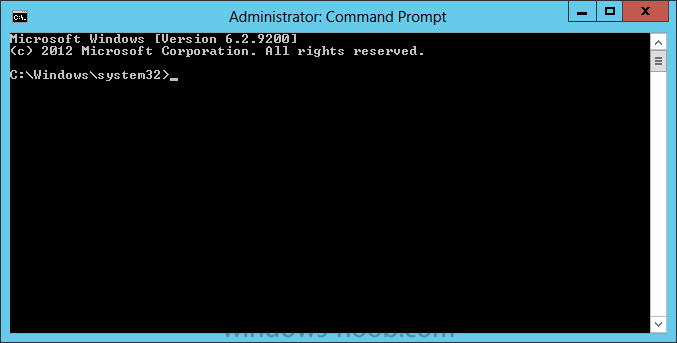 Here's a screenshot of mine, which is working correctly. 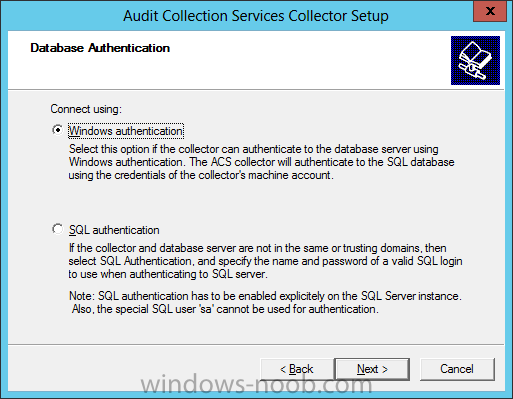 Confirm the security settings as well, as you had 2 options during ACS install; "Windows Authentication" or "SQL Authentication".